Home Remedies - Can Cinnamon and Honey Cure a Cold? Social media can be a great way to keep in touch with friends and share your thoughts and feelings with the world. It is wonderful for sharing information, but not all of that information is necessarily trustworthy. In fact, the old adage "don't believe everything you read" is especially true when it comes to social media and the internet. A shared post that occasionally spreads across social media makes the claim that a combination of cinnamon and honey can cure - among other things - the common cold. Also read their claims about the benefits of cinnamon and honey for curing the flu. Is There Any Truth to this Cure? There is no cure for the common cold. It is a viral illness caused by any number of hundreds of viruses and there is no vaccine to prevent it or medication to cure it. Colds typically only last between 3 and 10 days anyway, so a medication to cure it likely isn't on the horizon since the symptoms would go away on their own almost as soon as any medication would take effect. As for cinnamon and honey, they may have been used for hundreds of years as cold and flu remedies, but there isn't any scientific evidence that they have any ability to cure a cold. They do not have antiviral properties that would allow them to kill a virus such as the common cold. Although honey won't cure a cold, it does have benefits and may relieve certain common cold symptoms. Recent research has shown that honey can be used to relieve sore throats and coughs. When studying children with cold symptoms, researchers found that taking honey was actually more effective at relieving coughs in children and was rated more favorably among their parents than cough medication was. Drinking warm tea or water with honey mixed in is an effective sore throat remedy as well. Important Note: Honey should never be given to a child under 12 months old because it can cause botulism - a potentially fatal illness. Although cinnamon is generally considered safe, there is no evidence that it is effective at preventing or curing any type of illness. It should be used with caution as some people may be allergic to it and certain types (specifically Cassia cinnamon) have properties that may lead to blood thinning. Talk to your health care provider if you plan to take significant amounts or supplements of cinnamon or any other herbal or natural remedy. Even natural and herbal remedies have risks and can cause side effects. 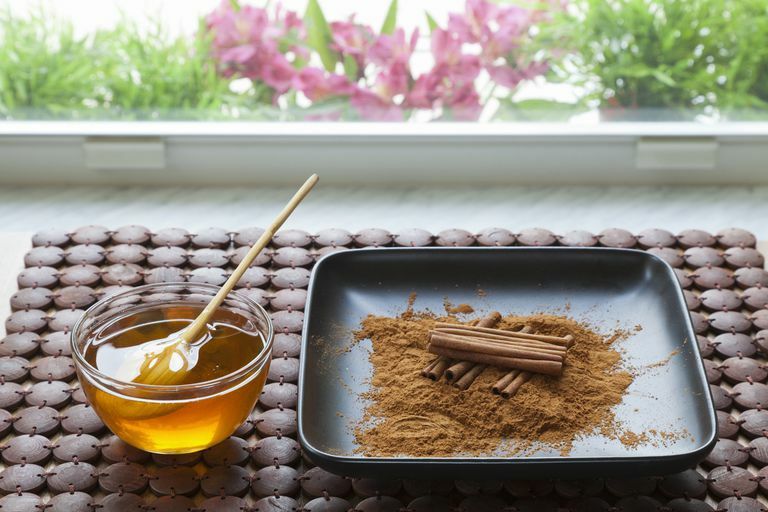 Although it sounds simple and promising, there is no proof that the combination of cinnamon and honey can cure the common cold. There is no science that backs up this claim. You are better off waiting out the virus and trying some more proven options to get relief from your symptoms. There are many natural options to relieve your symptoms if you don't want to take medicine. Even simple nasal rinses can help with a stuffy congested nose. In the end though, you'll need to wait for the virus to run its course. Paul IM, Beiler J, McMonagle A, Shaffer ML, Duda L, Berlin CM Jr. "Effect of honey, dextromethorphan, and no treatment on nocturnal cough and sleep quality for coughing children and their parents." Arch Pediatr Adolesc Med. 2007 Dec;161(12):1140-6. PubMed. US National Library of Medicine. Cinnamon. Herbs at a Glance Apr 12. National Center for Complementary and Alternative Medicine. National Institutes of Health. US Department of Health and Human Services. Can Cinnamon and Honey Really Cure the Flu? Will Allergy Medications Even Help With Cold Symptoms? Can the Common Cold Affect Your Birth Control?